The Green Terrace, originally uploaded by Araleya. 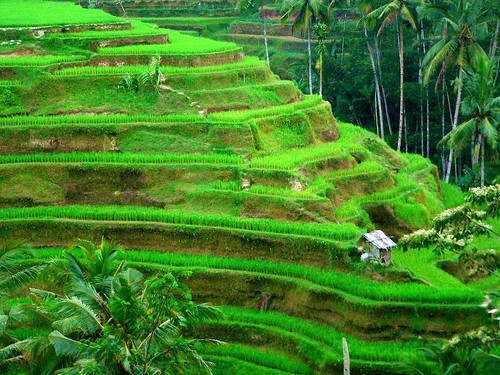 Tegalalang was my destination because it's said the best view of terraced paddy. But I start too late in the afternoon and stopped very often to take photo. It's far more 2 km to Tegalalang while sun was about setting and will set very fast.